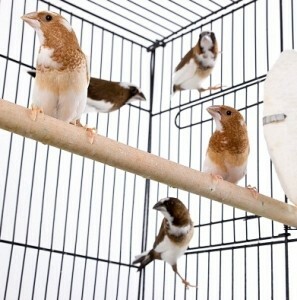 Before you choose a bird cage for your finches it is important to know more about finches. You don’t have to look into finches specifically about their habitats or origins, since it is totally irrelevant from making a decision to choose a bird cage for your finches. The main concern here would be the natural behaviour of finches; they are unlike any other ordinary birds which do not require special attention from the owner. Finches requires more space to spread their wings and fly along the cage to exercise through their flights, yes these birds need to exercise just like humans do. This is a daily routine that is very essential for finches, they like to hop around and have fun exploring places, you can be creative to decorate your bird cage for your finches if you’re free to do so. Please don’t get a bird cage for your finches that is too small for your finches, there should be a minimum requirement of space for your finches to exercise around. The optimum width of a bird cage for your finches needs at least 30 inch wide, don’t be surprised by the size of the bird cage for your finches because finches are supposed to be in one pair. Finches are playful and dislike being alone, they need companion and simply love to play with another finches. Two is always better than one, the bars of the bird cage for your finches needs to be not more than half of an inch apart, this is prevention for the finches to get injured if they were caught up between the bars during their flight activities. If the finches are flying too fast and failed to land on any other side of the bird cage for your finches properly, there is a higher risk to get caught up between the bars and you may lose your birds permanently. Finches do not have any attention towards fancy toys, don’t waste your money buying them, keep it simple and you can try to decorate the bird cage for your finches with some artificial branches and leaves on them. You can make bird cage for your finches looks a little more like a mini forest depending on your idea because naturally finches loves to mess around with trees or any greens unlike parrots. Lastly, the material of the bird cage for your finches must be free from any toxic substances that would put your finches in danger. You can either choose stainless steel or hard plastic depending on your total budget, they are much easier to maintain compared to others. Don’t ever get a glass tank that looks like a fish tank, your birds can’t breathe through water unless you have a custom made bird cage for your finches with special circulation systems available but that would not be an ideal choice. Go and survey around the stores, make an observation on the finches in the bird cage (if available) to see if there is any space issue for each different bird cage. 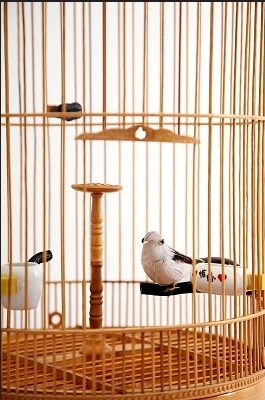 You can try to make a request from the store owner to place the finches on different types of bird cage before you make your purchase. 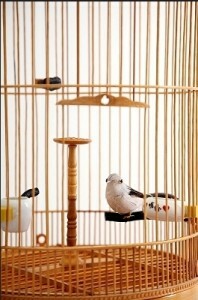 This entry was posted in Finch Bird and tagged Bird Cage, Bird cage for your finches, Buying the Bird Cage. Bookmark the permalink.